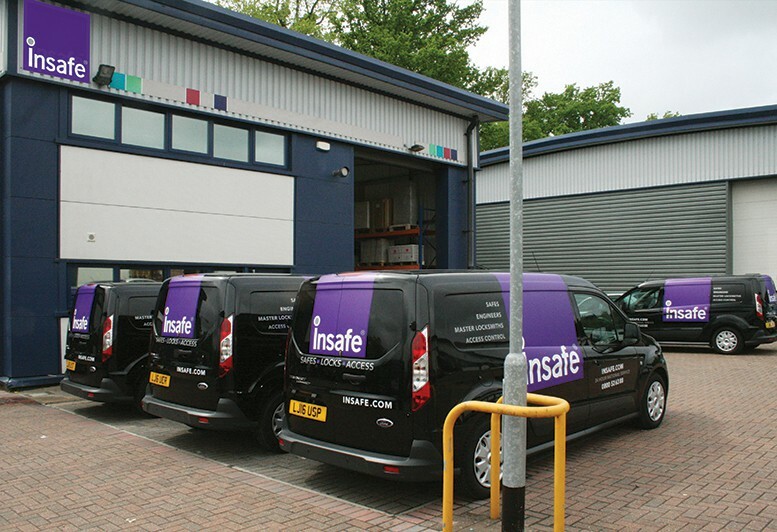 Insafe has storage and distribution warehousing in the Midlands and the South East to ensure the whole country is covered by our safe crews… quickly and efficiently. 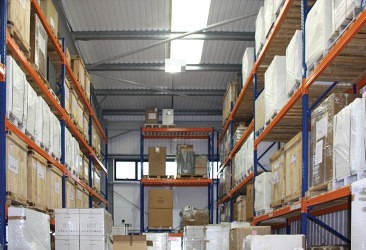 The main storage and distribution centre is located centrally in the UK in Wolverhampton. 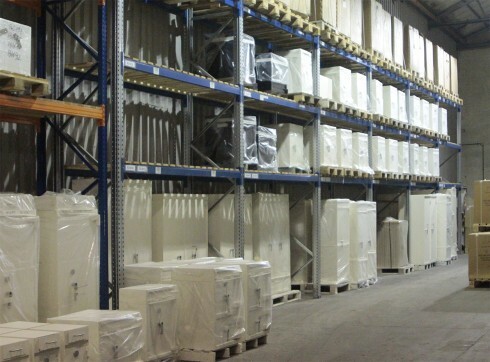 It houses just under 3,000 safes of all sizes and grades. From there our safe crews service the North, East and West of the UK. 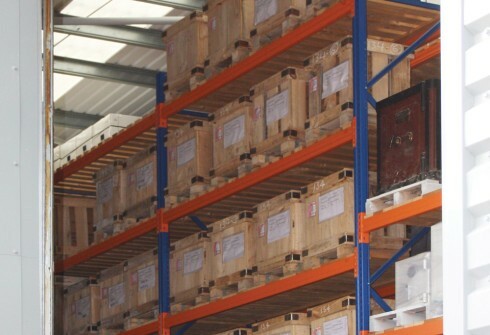 Our Southern warehouse and distribution centre is located in Tunbridge Wells and although being slightly smaller it still has storage of over 1,000 safes which covers the South, South East and South West. Both are connected by a daily stock relocation and parts run. Both centres have safe crews with specialised installation equipment, crane lorries, vans and fork lifts to move the thousands of safes each hold. Additionally they both have parts stock control which replenish our Engineers vans overnight so whenever a van goes out it will carry full stock to fulfil a first time fix. We are proud to say we have a 90% first fix rate. 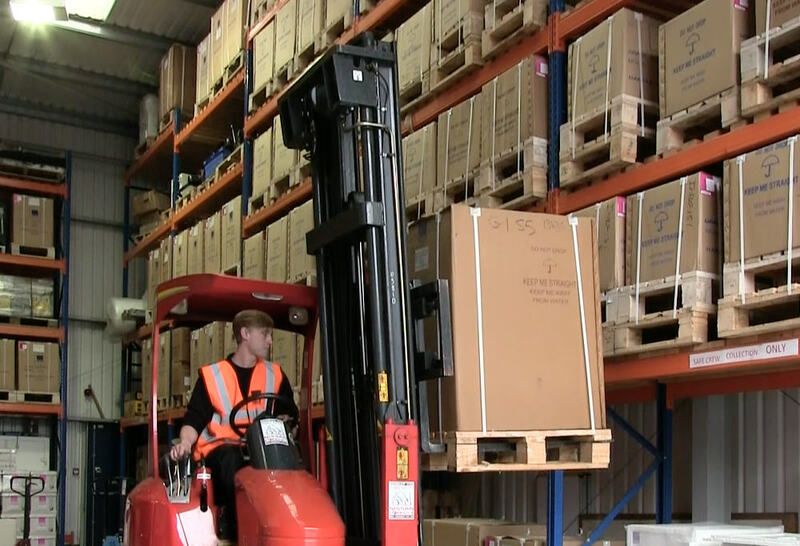 The Product Development facility and Training Academy both operate out of the offices in the Tunbridge Wells storage and distribution centre. 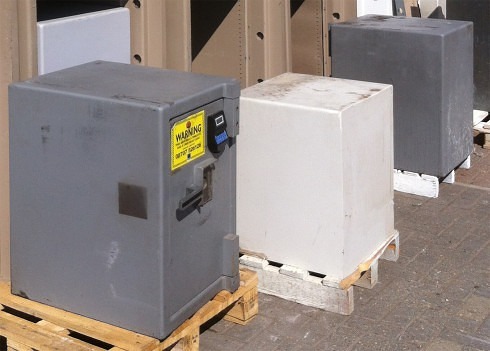 A large part of our service is removing and storing customers safes whilst a shop or office is being refitted or relocated to another location. Many safes are simply replaced as an old safe may no longer suit the customers requirements or those of their insurers specifications. Some of these safes can be refurbished but others that are too old to do the job properly are broken down into basic core materials. The separated materials are then recycled through licensed companies. We refurbish any make or model of safe and this can include new paintwork, changing a key locking system to electronic locking, adding new drawers, shelves or deposit features… the list goes on, please call for further information on how we can keep your safe up to spec.